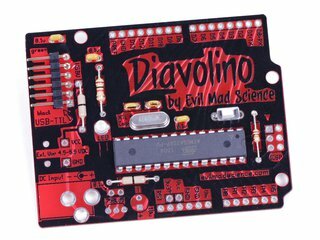 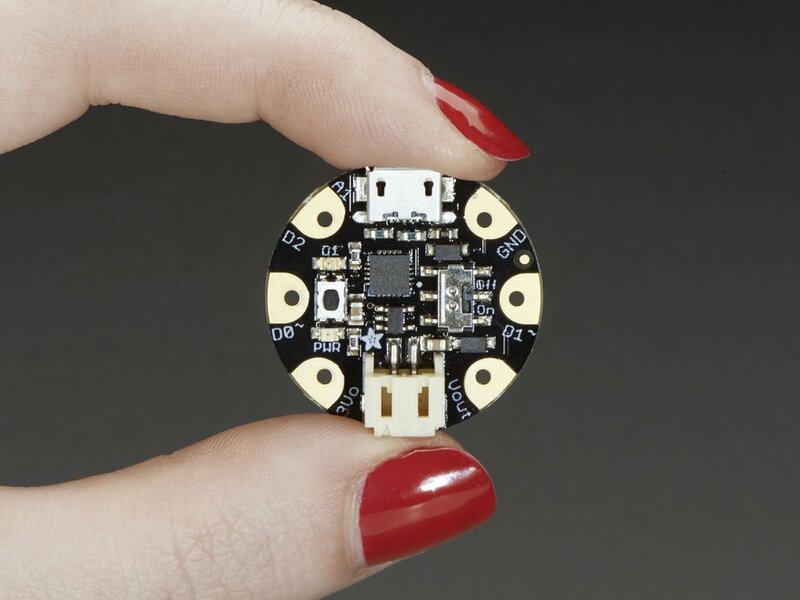 This microcontroller board is designed to be small enough to fit into any project, and low cost enough to use without hesitation. 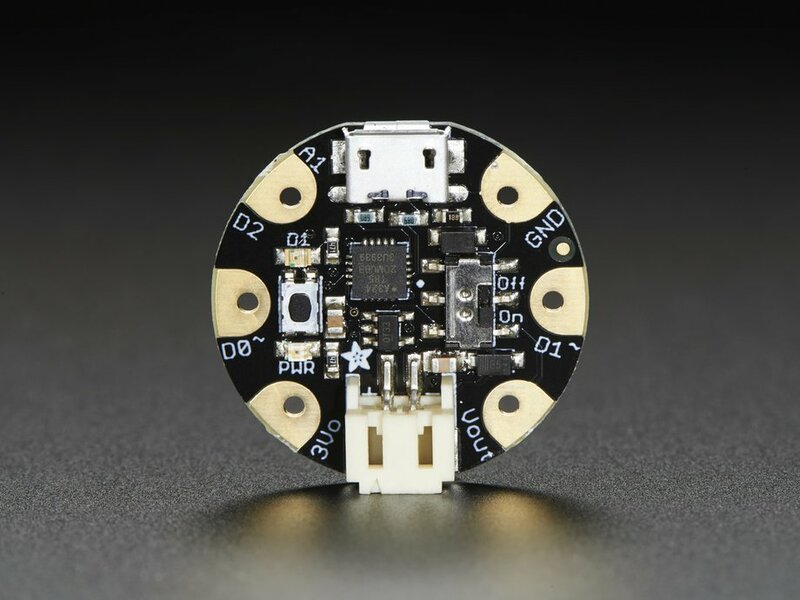 It's a great low-cost sewable controller! 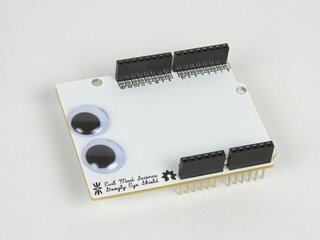 This is version 2, which uses a Micro-B USB connector and adds a much-requested On-Off switch! 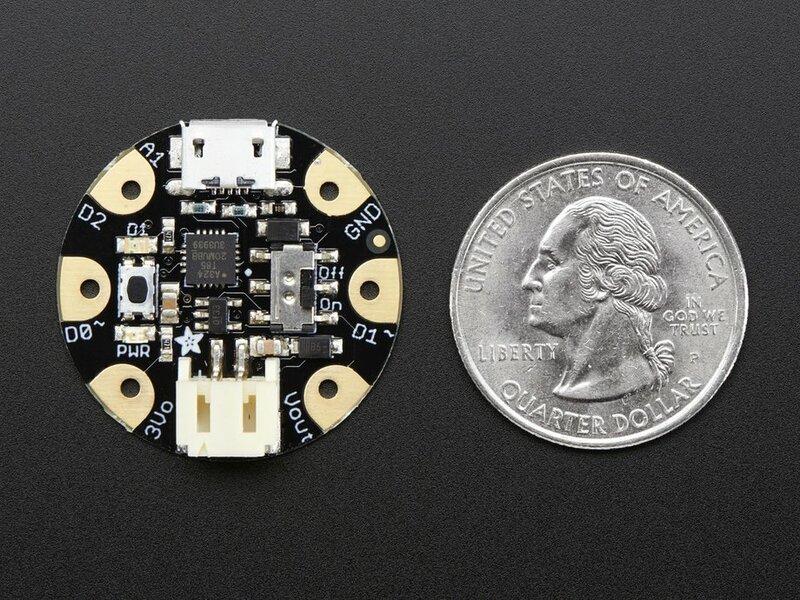 The Attiny85 is a fun processor because despite being so small, it has 8K of flash, and 5 I/O pins, including analog inputs and PWM 'analog' outputs. 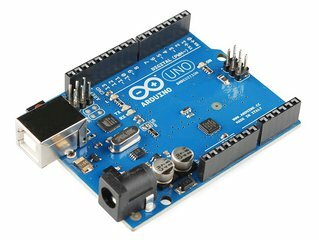 The USB bootloader lets you plug it into any computer and reprogram it over a USB port just like an Arduino (it uses 2 of the 5 I/O pins, leaving you with 3). 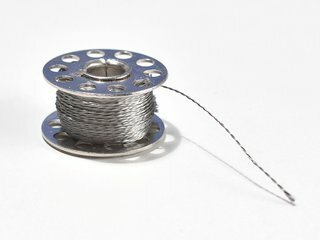 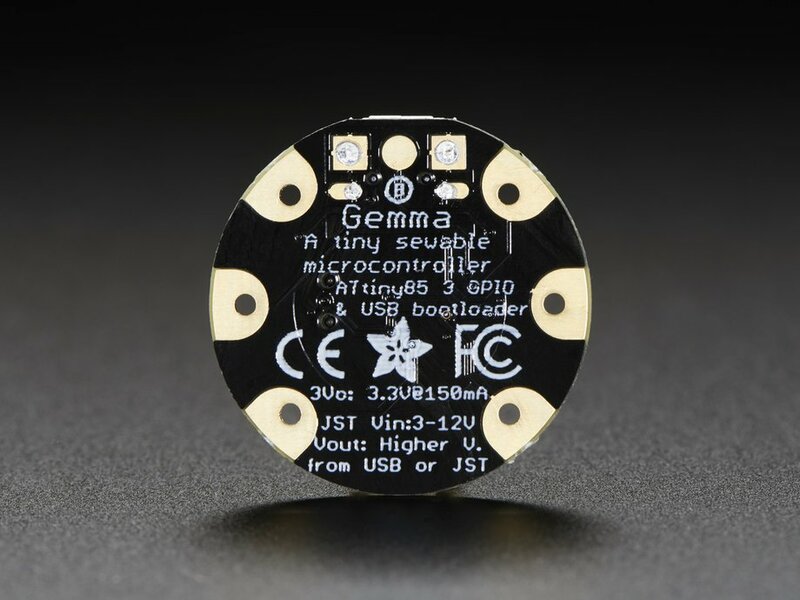 Perfect for small & simple projects the GEMMA will be your go-to wearable electronics platform. Additional usage information is available in the Adafruit learning guide for Gemma.